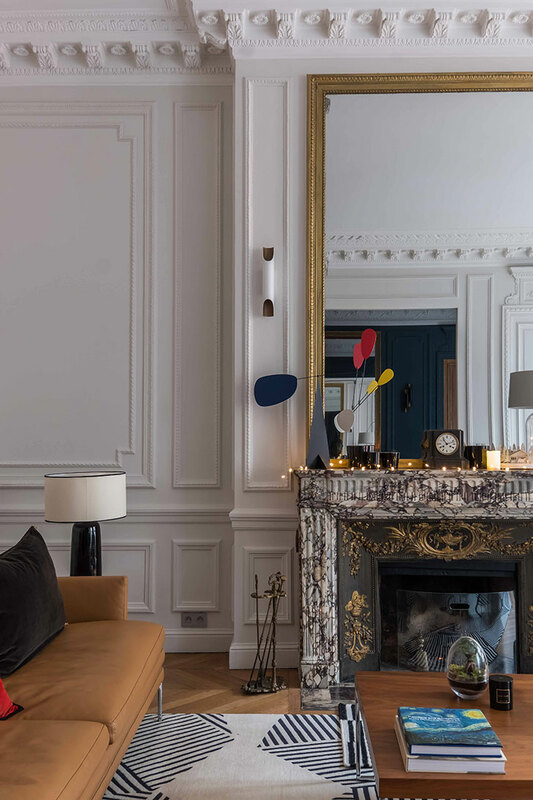 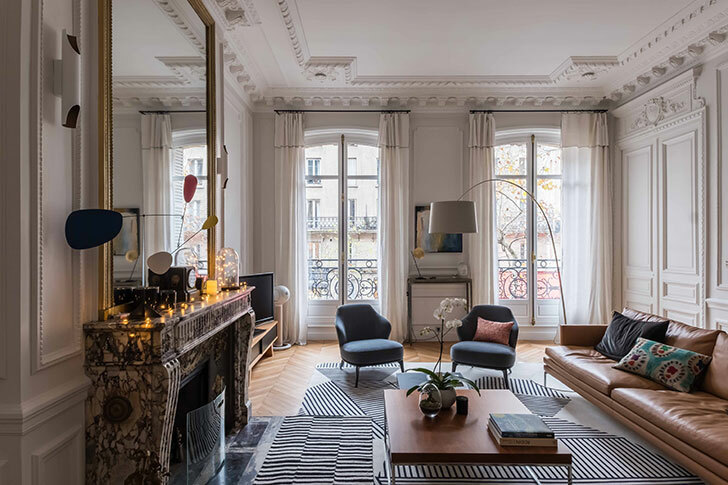 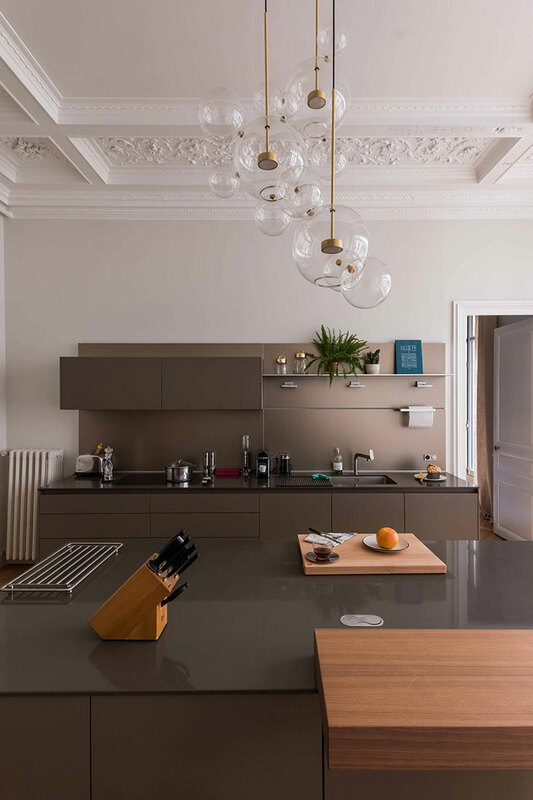 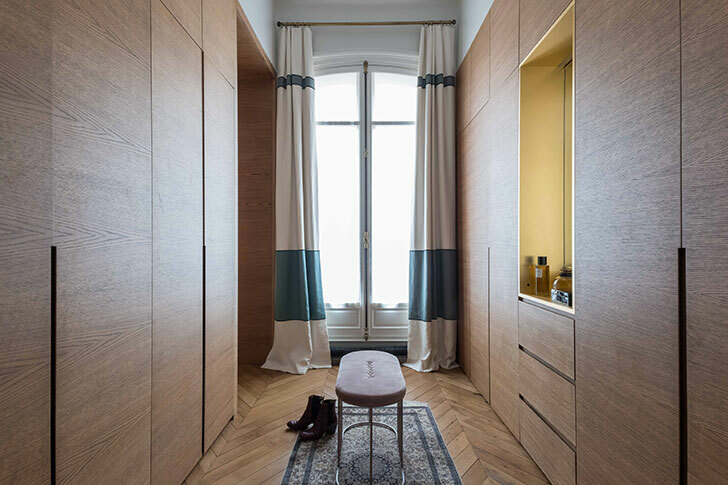 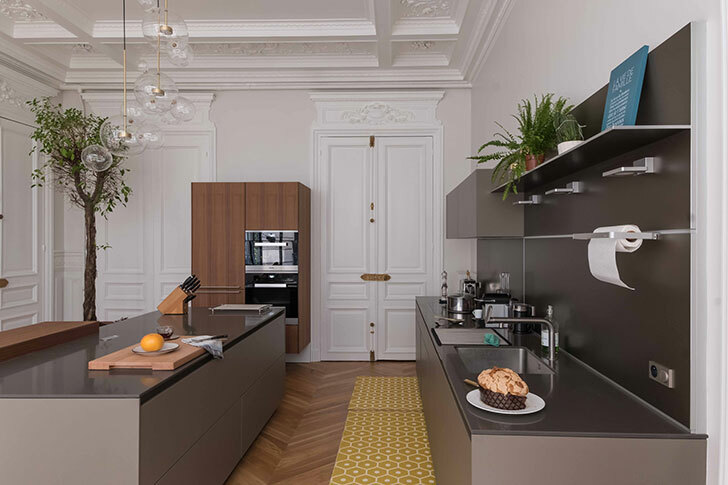 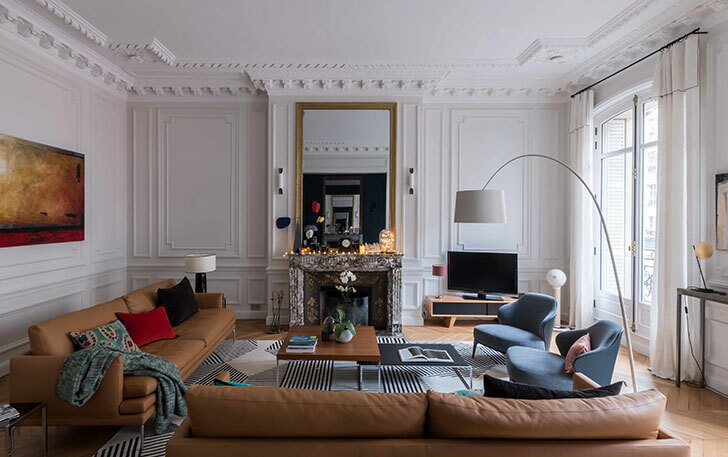 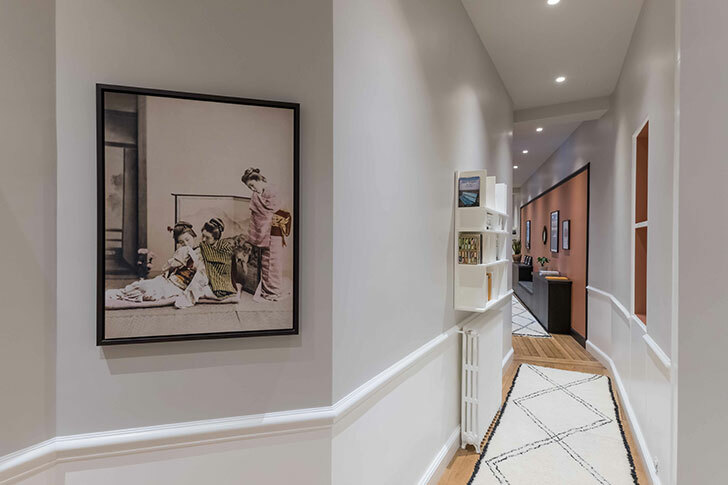 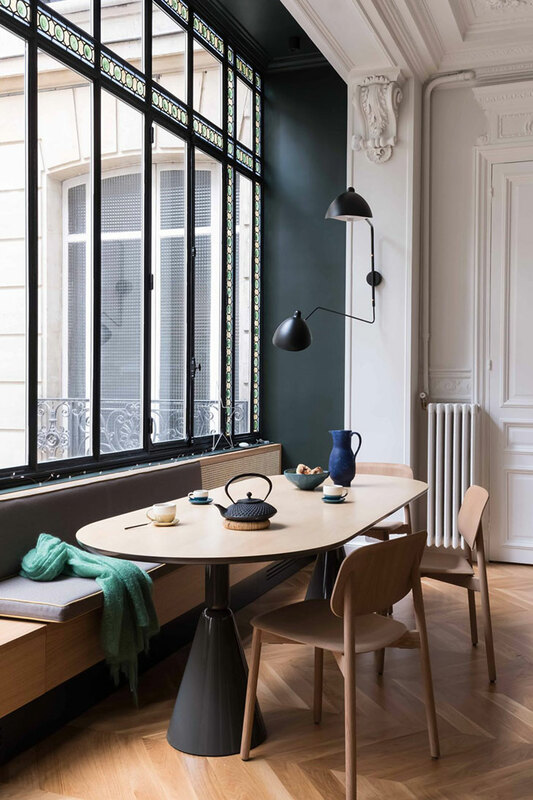 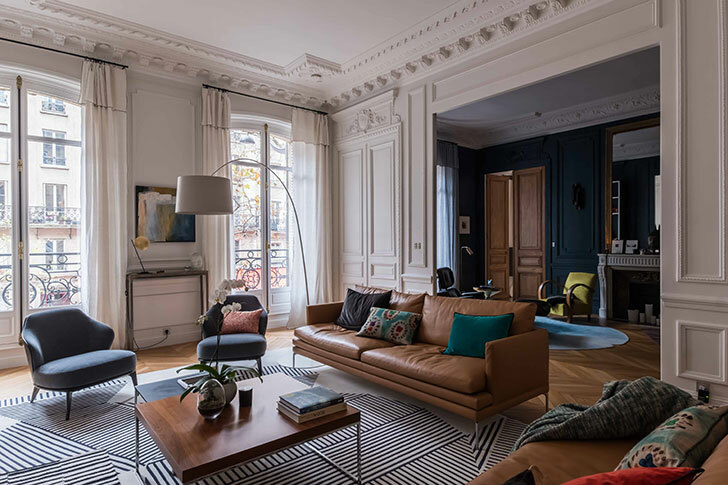 This spacious apartment in the 7th district of Paris has recently undergone a global renovation, and there is a lot to see. 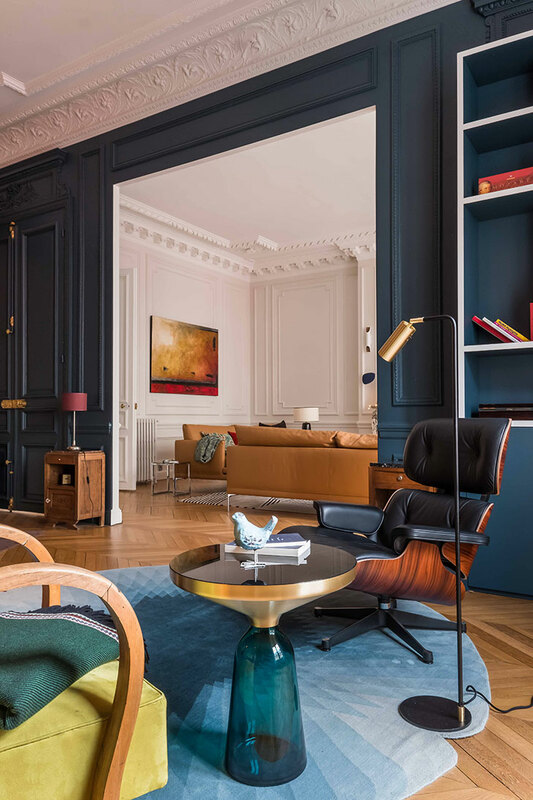 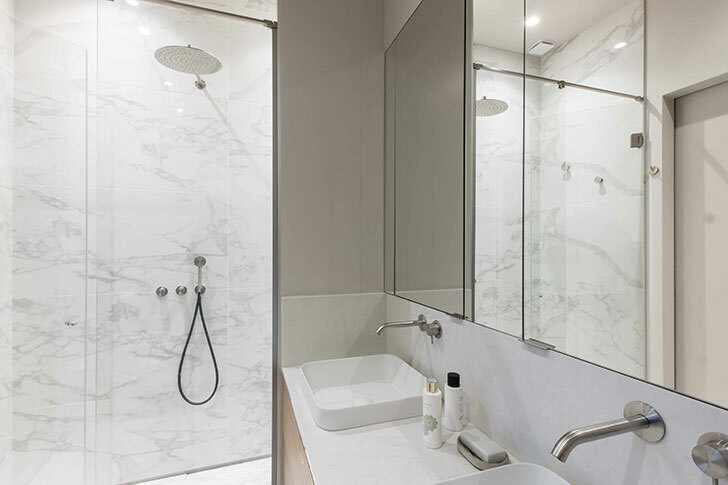 Firstly, the designer was able to combine the classics and modernity: the buisere panels and old doors are in contrast with laconic furniture and bold colors. 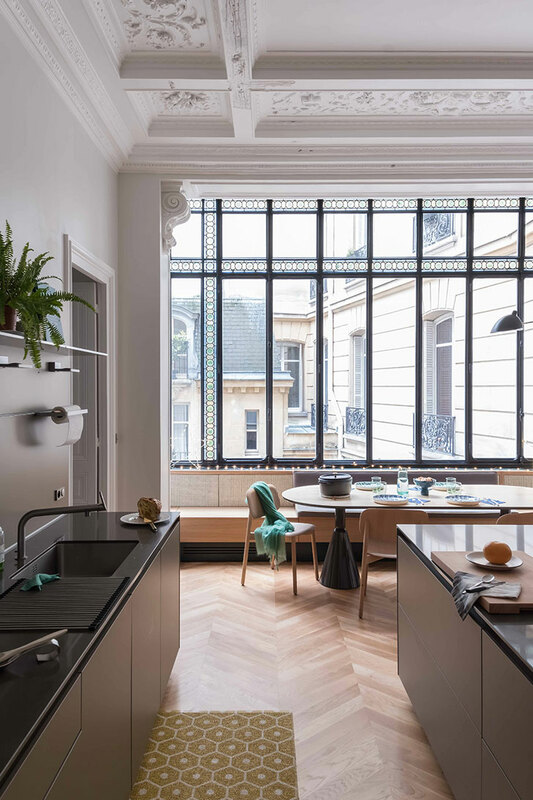 It is impossible not to mention the window with stained glass elements in the kitchen – a beautiful addition to the interior and an interesting vintage element. 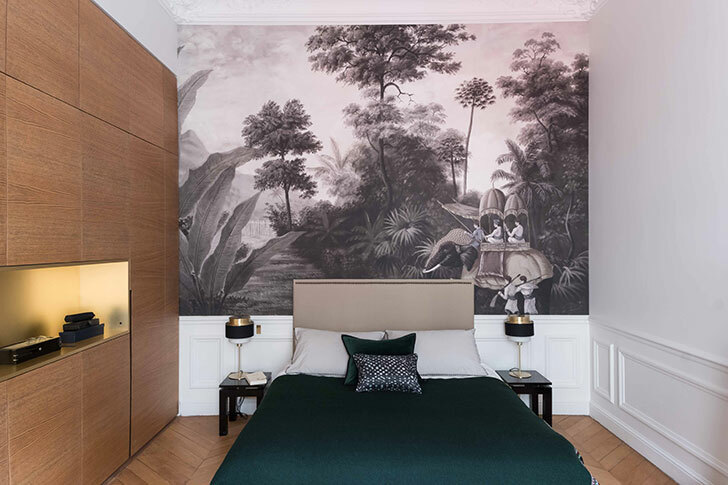 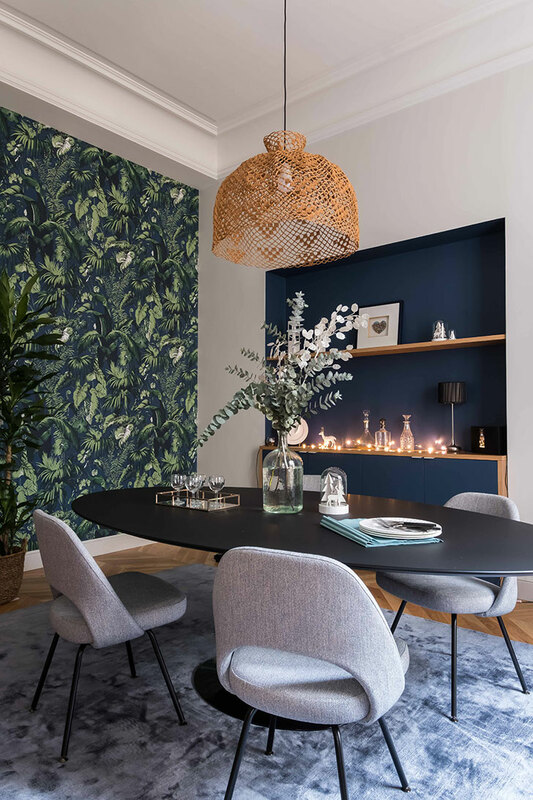 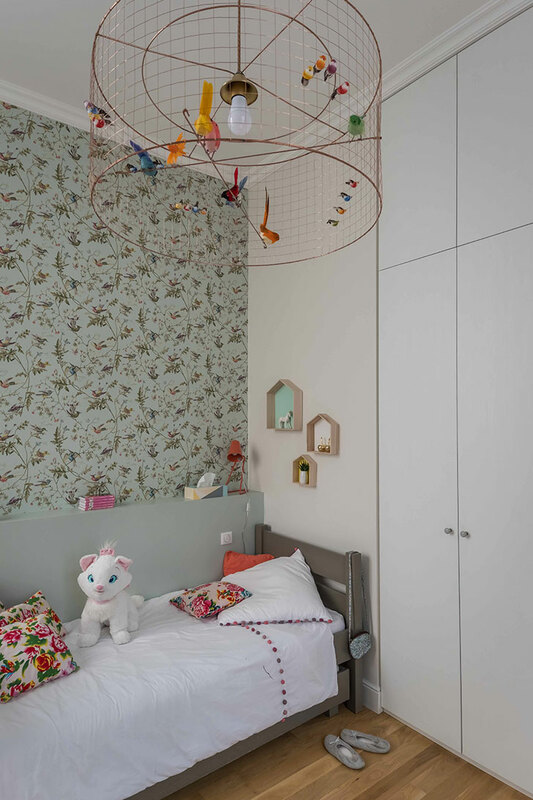 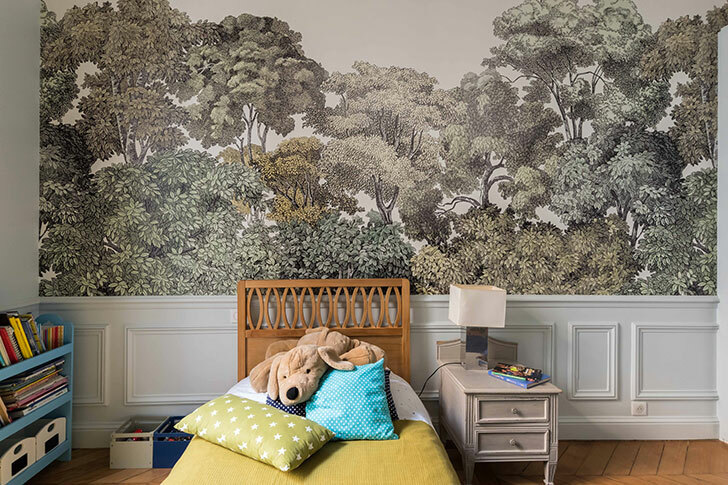 Also we really liked the wallpapers in this apartment: the tropics, flowers, fauna – they give the apartment a highlight and serve as bright accents. 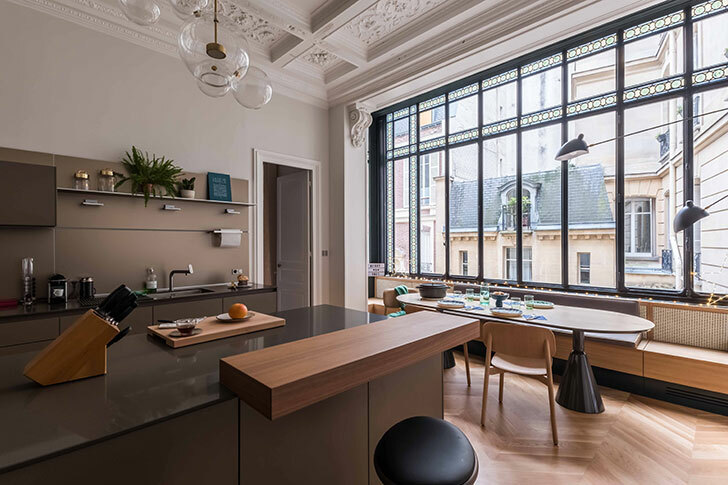 Amazing design, thought out to the smallest detail!